One of the few employment sectors in our current economy that is actually expanding is the Federal Government. Whether you want advancement within the government or would like to pursue a new career with them, our Federal Resume Writers know how to craft a Federal resume that gets you on the Best Qualified List! 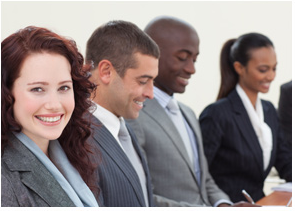 Expert Business & Professional Services offers the best individualized service for 1st-time Federal job seekers, as well as current employees up to executives in the Senior Executive Service. Since every client is so unique and are at different levels, our federal resume and KSA pricing varies depending on the amount of time and work involved for our professional writers. The cost of writing a federal resume is based on a number of individualized factors such as your field of endeavor, level of the position you seek, years of experience, and complexity of writing the document. Please call for a FREE Quick Quote for your specific needs. Does your federal resume effectively reflect the type of candidate you are? If it doesn’t, order a complete rewrite of your federal resume.